The "great Australian dream" of owning one's own property will look more like an inner-city apartment than a suburban acre block as house prices are expected to surge in Australia's major cities over the next three years. A glut of apartments is likely to see unit prices fall, contributing to an overall improvement in home affordability, QBE’s Housing Outlook 2017-20 forecasts. For most cities, the report cites increased demand and limited supply as the main drivers. Sydney experienced 12 per cent growth in house prices in the 2016-17 financial year, and is expected to flatten to -0.2 per cent by 2020. [Related reading: What to Expect From the Housing Market in 2018]QBE Lenders Mortgage Insurance chief executive Phil White said that while unit prices will soften, the sector will play a growing influence on the nation’s property market over the coming decades. “With so many Australians priced out of the housing market, the Australian dream of owning property is increasingly turning to high and medium density apartments,” he said. “Units contribute to a greater share of the market as changing lifestyles and affordability dictate property choices. [Related reading: Sydney House Values Fall for the First Time in 17 Months]Units now account for 46 per cent of all residential construction across the country. White said recent low affordability in Sydney and Melbourne should stop purchasers from taking larger mortgages and bidding up prices even more, but with more lending restrictions impacting investors, it could be good news for owner occupiers as they should find less competition from investors. First home buyer loans declined by less than 1 per cent in 2016/17. Overall signs of strengthening demand for first home buyers are emerging with 13 per cent more loans approved to first home buyers to the three months to July 2017 compared to the prior year. White said around 6.5 million people will need to be housed over the next 15 years. “The forecast population growth raises questions about whether our property market will have us on track to meet short, medium and long-term population challenges. “Careful planning for housing stock and infrastructure is imperative,” he said. House prices to flatten by 2020 to $1,150,000. Units expected to decline 4 per cent to reach $760,000 at June 2020. Forecast higher interest rates and lower loan-to-value ratios for investor lending expected to limit ability for investors to enter the market. This is expected to put downward pressure on unit prices as investors retreat from the market. Conversely, first home buyers could put price pressure on units as they continue to take advantage of the recently introduced exemptions on stamp duty across the state. Housing market to outperform unit market, with house prices expected to rise by 10 per cent to $940,000. However, unit prices expected to decline 5 per cent to $535,000. Rise in unit completions in the past five years has been greater than house completions. House price growth will remain moderate at 7 per cent to $590,000. Oversupply of units will continue to put downward pressure on rents and prices of units to decline by 7 per cent to $385,000. Greater competition for tenants of inner city apartments is forecast to cause investors to lower rents to try to draw tenants from more affordable city fringe locations. Those looking to sell units are expected to also find it more difficult. 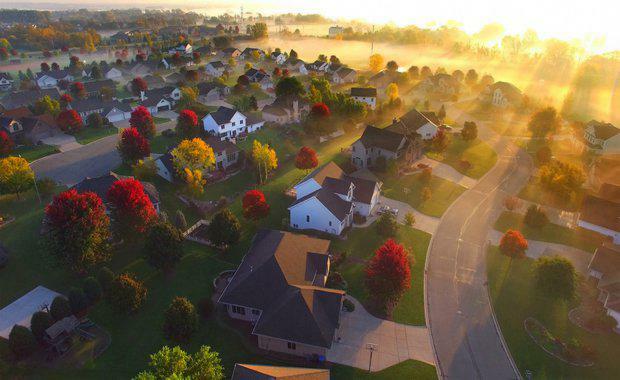 Overall, market expected to remain weak with houses to experience minimal growth and units to fall in price to June 2020. Market is expected to be close to the bottom. The forecast median house price of $535,000 at June 2020 will represent cumulative growth of 3 per cent over the next three years. However, greater downside in unit market expected with unit price forecast to decline less than 1 per cent to $400,000. Modest growth in house prices forecast with median house price to increase 7 per cent to reach $510,000. Housing affordability remains manageable, which should keep demand from falling steeply as the state economy weakens and population growth slows. House price growth stronger than anticipated and expected to grow. Hobart’s median house price forecast to rise to $470,000, reflecting growth of 11 per cent. Overall, recovery in the local economy and interstate migration is expected to keep price growth strong. Investors are not as large a part of the unit market as in other states so there is less impact from investment lending restrictions. Median unit price in Hobart forecast to reach $360,000 at June 2020; a cumulative rise of 9 per cent. Outlook subdued with decline in resource investment yet to fully bottom out. Few economic drivers will support population growth and demand will remain weak. House prices expected to fall slightly to $540,000. Unit prices forecast to decline by a cumulative 3 per cent to $450,000. Conditions in the house market expected to remain largely positive, driven by population growth, an undersupply of houses and strong employment prospects. House prices in Canberra forecast to increase 16 per cent to $750,000. Canberra is forecast to have the strongest growing market of all the cities. Unit price is forecast to reach $435,000, a cumulative rise of 2 per cent to 2020.